The salon’s pink and gold furniture complements the sleek wood floors and muted walls. Hairstylist Kieu Hoang Jorza spent over a decade establishing herself as a hairstylist in a busy, upscale area of Seattle and gained a loyal clientele, allowing her to eventually start working for herself, first taking the leap as a booth renter in 2005. 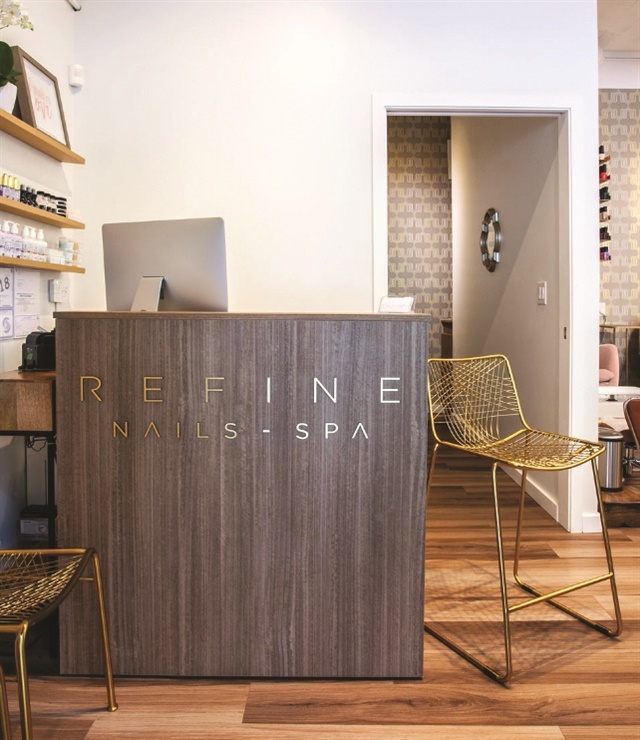 In 2015, she launched Salon Refine, then decided to expand beyond hair by opening Refine Nails and Spa in August 2018. The salon offers services with polish, gel, acrylics, dips, and more. The salon offers both natural and artificial nails, and nail art like chrome, rhinestones, and Jorza’s personal favorite: marbling. Refine’s specialty service is dip powders, which she says are less frequently offered in the Seattle area. 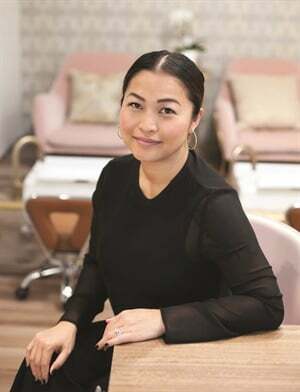 Salon owner Kieu Hoang Jorza says that hair and nails go hand-in-hand, and she’s attracted to the artistry of beauty. Providing product trainings is important for improving skillsets, but Jorza also promotes the team’s ability to work cohesively, and she has thrown team-bonding barbecues to create stronger bonds between staff members. 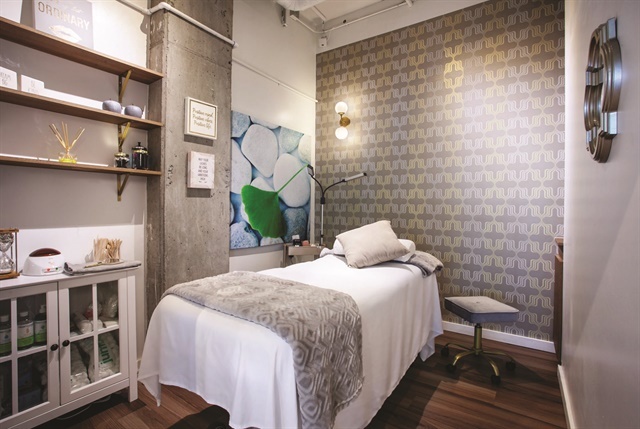 Located near the city’s Facebook and Amazon offices, the neighborhood draws a crowd of professionals who “need this sense of relief after a long day,” she says, and they often opt for add-ons like hot towel wraps and paraffin. The private lash studio generates substantial additional income, as lash extensions surge in popularity. Upon arrival, clients are offered a free glass of rosé to enjoy during their service. They’ll often drink while chatting with staff and listening to the nostalgic ’90s R&B and pop music that plays in the background. The salon itself is a small, intimate space with a feminine, royal theme of pink and gold, which has made it a desirable location for bridal parties, as well as company outings. Jorza says she’s thinking about hosting Botox parties down the road, and perhaps moving the nail and lash studio to a bigger location when the time is right. “I am just excited about the future and expanding the Refine brand as I continue to learn and grow in the nail industry,” she says. The salon is primarily appointment based, although they do accept walk-ins.